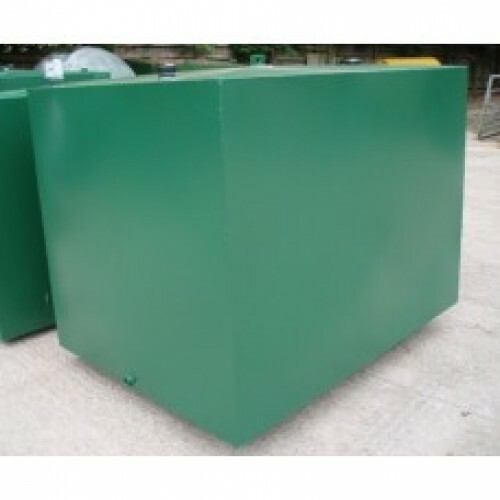 Steel Single skin home heating oil storage tanks are made from mild steel and offer an inexpensive storage option where a bunded design is not required. 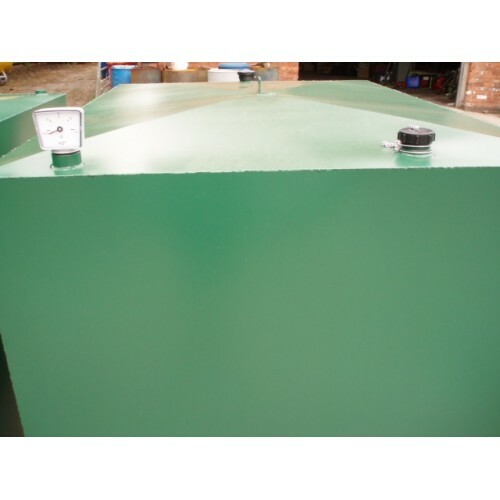 2500 litre Single Skin oil storage tanks are manufactured with a 2” fill point with cap and chain, a clock type tank contents gauge, 1” bottom outlet and 1/2" drain. The tanks are undercoated in red oxide and top coated in a gloss green paint finish. For your convenience a tank a single lifting eye has been added to the top of the tank for easy positioning and a bottom outlet fitting kit is included which contains a 1" to 1/2" reducer, isolation valve, filter, 1/2" to 10mm connector, ptfe tape and heldite sealing compound. Single skin tanks offer no form of secondary containment so therefore in the event of a spillage there is a significant risk of damage to the environment. Delivery will be made by palletline and may take up to 10 days. Offloading and positioning of the tank is the reponsibility of the customer. Delivery is included to most of the mainland UK however the HIghalnds and remote parts of the UK may cost more. Even where a single skin tank may currently suffice, consideration should be given to fitting a Bunded Tank. Unlike single skin tanks, bunded tanks consist of a “tank within a tank”. The inner tank is the primary storage vessel, whilst the outer tank acts as a failsafe. In the event of a spill, any surplus fuel will be safely and securely contained within the outer tank and an environmental pollution incident will be averted. 1" to 0.5" reducer, isolation valve, filter, connector to 10mm pipe, ptfe tape and heldite locking p..